Songs like Anthem (Tom Conry) and Sing A Simple Song Unto The Lord reigned supreme during Mass, and we were forced to do hand motions. 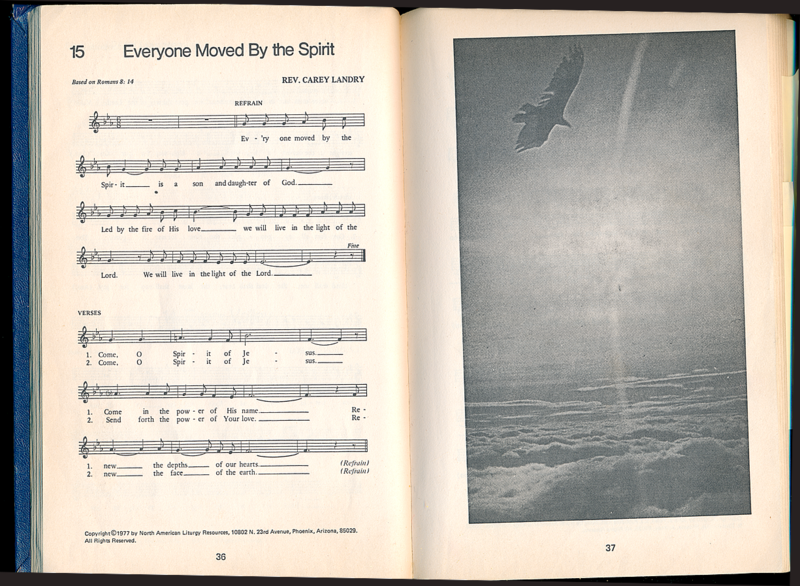 Even though I was very young, I’ll never forget a comment uttered by the lady in charge of playing the piano for Mass: “I’m having a hard time finding Communion songs in this hymnal.” Our hymnal was Glory & Praise: the one with the bizarre Flying Eagle Picture. When my parents couldn’t take it anymore, we sought out the Extraordinary Form, even though that required driving long distances. I attended the EF exclusively for a number of years and learned to especially cherish the quiet, peaceful, low Masses (even though I’m probably not supposed to admit that). WHEN I RETURNED TO THE NOVUS ORDO, the priest would read some random-sounding verse at the beginning of Mass and at Communion. This was before the New Translation, and the language often struck me as pedestrian, as one might address a man on the street. (Cardinal Burke has said the language sounded “juvenile.”) I failed to realize these were the ENTRANCE and COMMUNION antiphons assigned to each Mass. To view a fascinating version from 1806 — very similar to our translation — click here. How wonderful it is to become familiar with these antiphons! 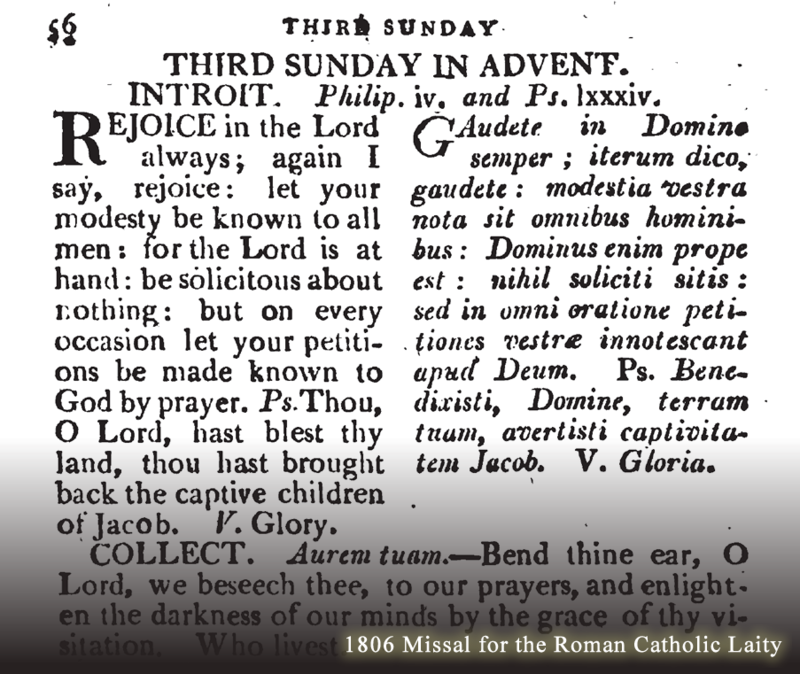 Here’s the one for the 2nd Sunday of Advent — how lovely! EOPLE OF SION, BEHOLD the Lord shall come to save the nations; and the Lord shall make the glory of his voice to be heard, in the joy of your heart. (Ps 79:2) O shepherd of lsrael, hearken, O guide of the flock of Joseph! V. Glory be to the Father. Repeat: People of Sion. Doesn’t that just scream Advent?